If you’re a prospective Canadian homebuyer, this tool can help you figure out just how much house you can afford to buy. First enter the price of a house you wish to buy and the down payment you could afford to provide, in either a percentage or a dollar amount. Once you’ve inputted these numbers, the rest of the fields will populate automatically with an estimated breakdown of costs. To truly determine how much you can afford, change the inputs as you please and the numbers will change accordingly. Click on “Create Amortization Schedule,” and a new browser window will open with a printable schedule of payments. This is a simplified mortgage calculation tool & should only be used for estimates & general information purposes. If your Downpayment is under 25% the loan will require insurance. Premiums are charged at initiaion and vary depending upon the insurer & the amount of your downpayment. Your downpayment cannot be below 5% fo the purchase price. You should allow for closing costs approximately 1.5% of the sale price, over and above the amount of your initial downpayment. Typically the term of your loan will normally not equal your desired amortization period, thus your interest rate will likely change during the amortization process. This will impact your interest payments over the life of the loan. A number of factors go into qualifying for a mortgage in Canada, and understanding the process will help you better prepare your finances and documents. This guide explains what banks and other lenders look for in potential borrowers and how much room in your finances you need to be able to pay off a mortgage. Before applying for a mortgage, you need to have a stable income. Banks must confirm a potential borrower's income as part of the mortgage approval process in order to assess the borrower's ability to consistently pay back a loan. Prepare bank statements and tax return documents before applying. For small business owners and self-employed individuals, providing proof of a stable income can be more difficult and may result in more roadblocks when qualifying for a mortgage, even with a good credit score and enough money in your monthly budget to easily pay mortgage payments. A notable exception is credit unions, which aren't boxed in by the government regulations that require certain income criteria to be met before a bank can approve a mortgage. A self-employed individual shouldn't give up, though, because the right bank will be able to help find solutions to getting mortgage approval. All mortgages and home loans require a down payment. In Canada, a typical down payment for a conventional mortgage is 20 percent or more of the total price of the house. Getting a mortgage with a smaller down payment is also possible. This is known as a high-ratio mortgage, and any down payment less than 20 percent requires the borrower to get loan insurance, which means paying an insurance premium along with the monthly mortgage payments or paying it all off at once with your down payment. No down payment may be lower than 5 percent. 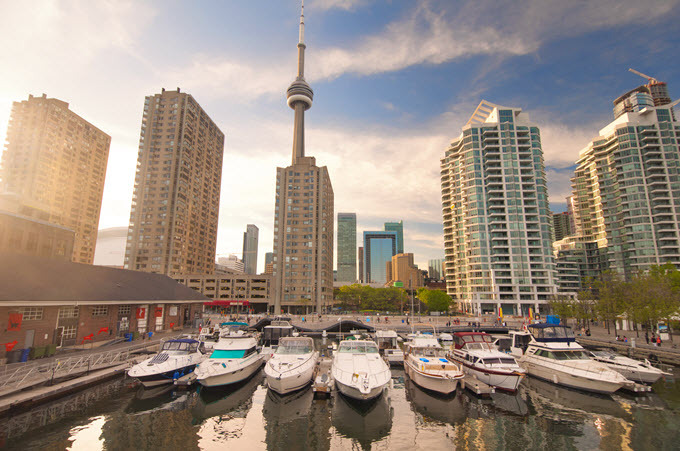 For a new resident of Canada, or someone moving from a different country who does not yet have residency, most lenders require a down payment of 35 percent of the price of the house. If lenders offer a smaller down payment to new residents or non-residents, they usually require an insurance policy along with it. This same rule is true for small business owners and self-employed individuals because checking for stable income is trickier. When considering how much to make as a down payment, remember to calculate an insurance premium into your monthly payments if you're thinking about a high-ratio mortgage. Gross debt service is the percentage of your total household income that goes to paying household expenses, like your mortgage payments, any property taxes, and even heating costs. The Canadian federal government requires that your gross debt service be 39 percent or lower to qualify for a mortgage. In order to qualify for a Canadian mortgage, it's a good idea to calculate your gross debt service before meeting with the bank so you can assess whether the house you want will fit your budget. If debt payments make up a large portion of your monthly expenses, qualifying for a mortgage may not be possible. In Canada, the federal government requires that the total percentage of your income that goes towards paying off debts (total debt service) be 44 percent or lower in order to qualify for a mortgage. This includes a mortgage payment and all expenses related to owning a home. The more you owe, the smaller your gross debt service will have to be in order to qualify for a mortgage. To ensure you're able to afford the house you want, pay off as many debts as you can before applying for a mortgage, and calculate what percent of your total income goes towards debt repayment so you know how large of a mortgage payment you can afford. Even if the rest of your application checks out, bad credit can derail the entire process. The best applicants for mortgages have credit scores above 680. Anything below 600 makes borrowing more difficult because potential lenders will see you as a high-risk candidate. However, if your history of repaying loans is low, even if your overall credit score is high, that might affect a bank or a credit union's decision about whether or not to approve your mortgage application. Check your credit score and take some time to improve it before applying for a mortgage. When qualifying for a mortgage, preparedness is key. Take a hard look at your finances and your debt before visiting the bank. Qualifying will go much more smoothly if you already know what to expect and have taken the steps to make yourself a good candidate.